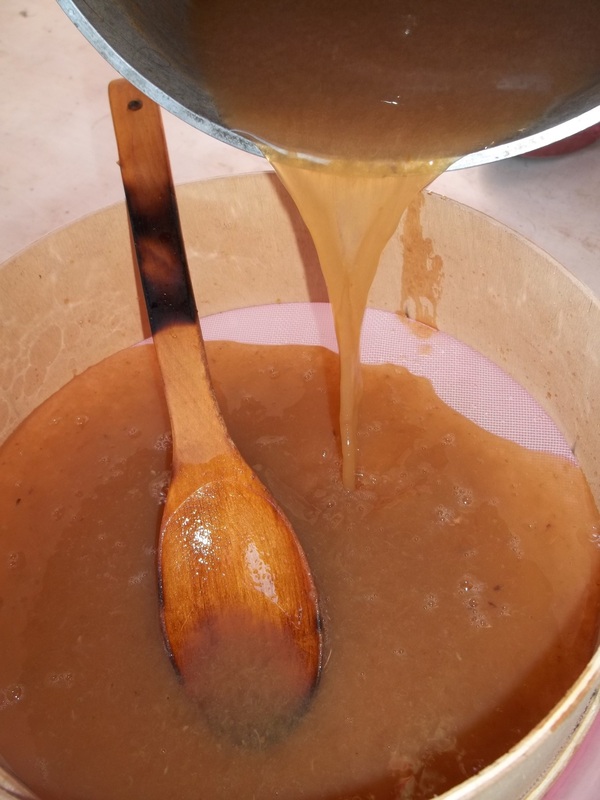 Badagi (Georgian: ბადაგი, ტკბილი) is a pressed and condensed grape juice used in Georgian cuisine for making popular sweets/desserts such as Pelamushi, churchkhela, kaklucha and grape tklapi. 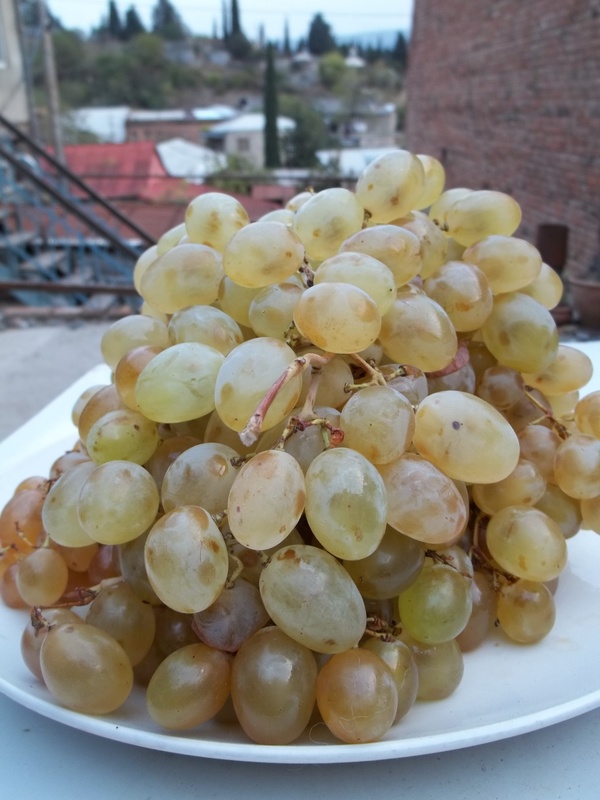 Ingredients: 5 kilos of ripe, white grapes (makes about 2 liters of badagi). 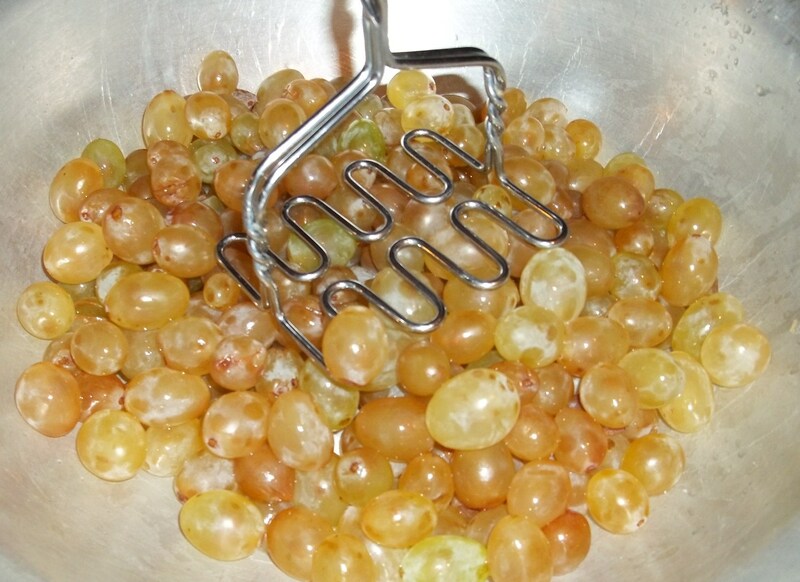 Preparation: Wash and remove stalks from the grapes. 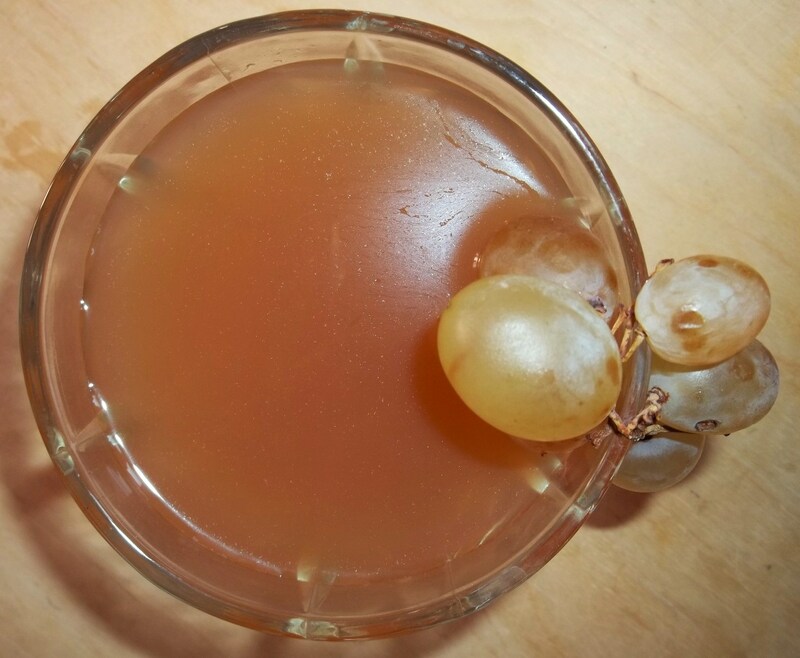 Mash the washed grapes in a colander positioned over a large bowl. 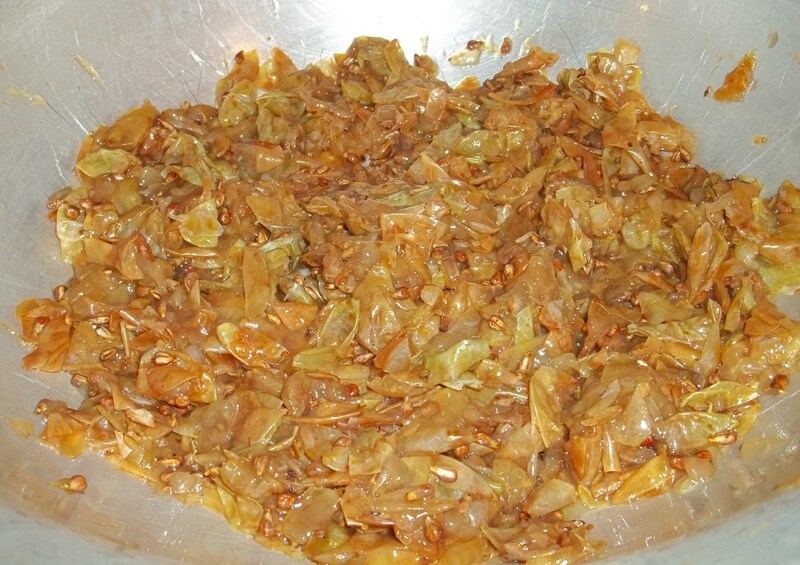 Keep mashing until only skins and seeds are left. Use your hands to remove as much juice as possible. 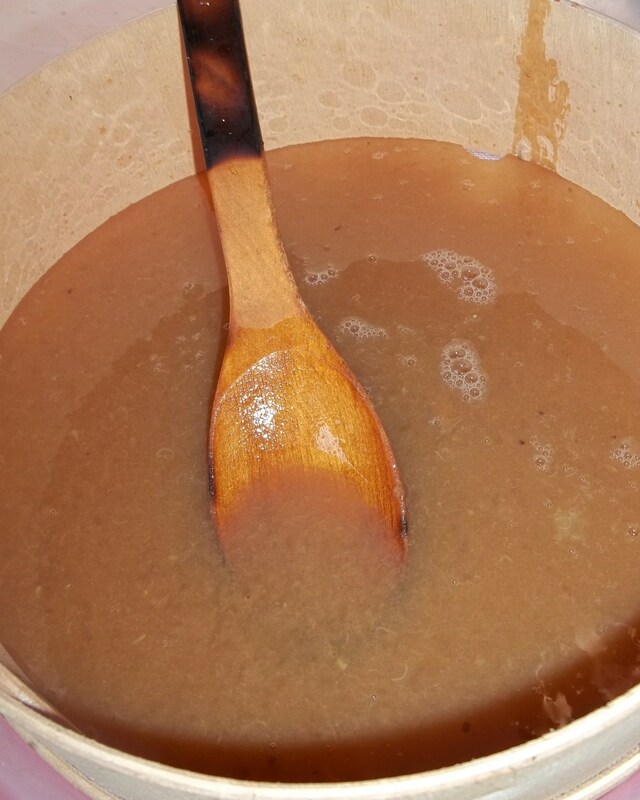 Transfer the juice into a large pot and bring to the boil on a medium heat. 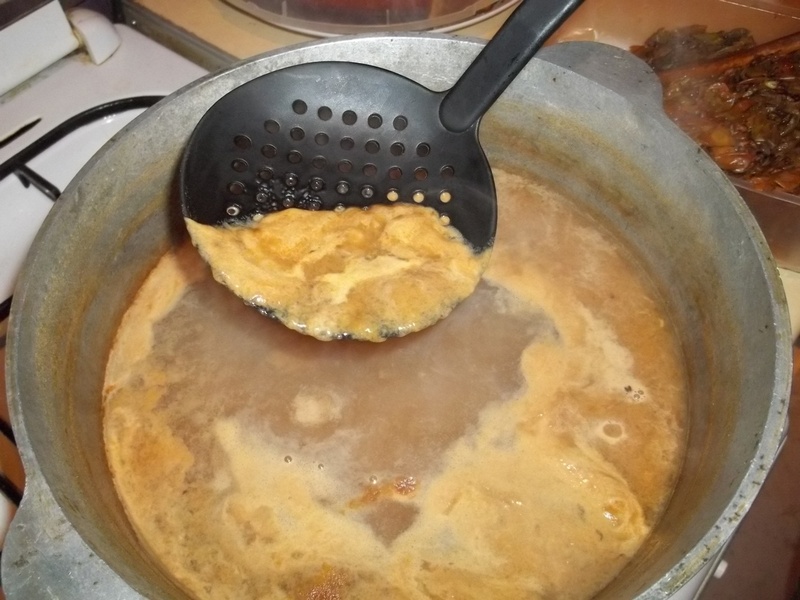 Then reduce the heat to a low temperature and allow to simmer for up to 3 hours. The juice should reduce by a little less than half. The process produces a sugar (fructose) content of around 60%. 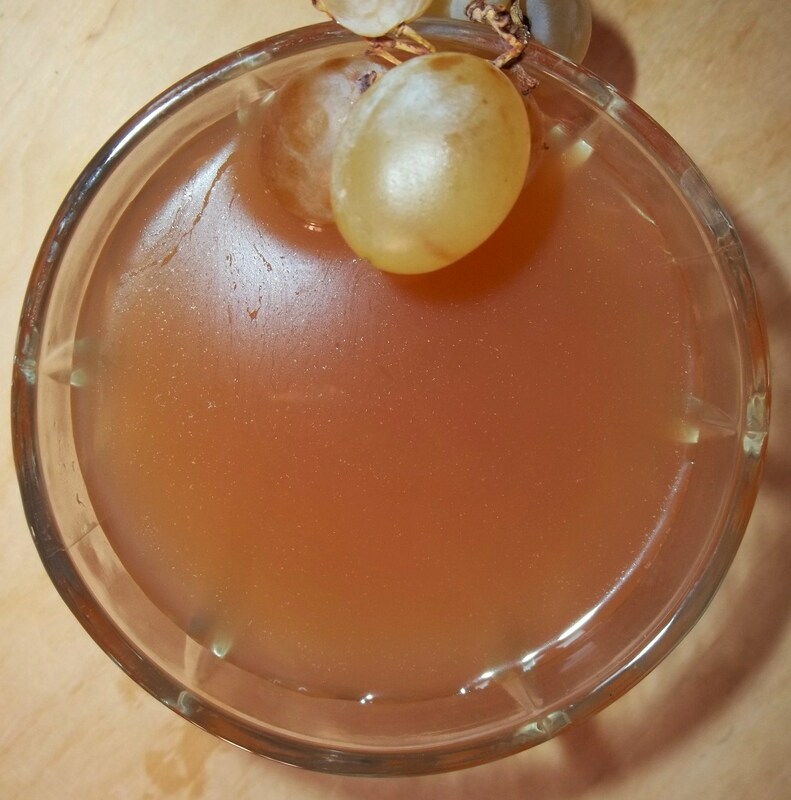 Monitor the simmering process and remove the extraneous matter whenever it forms on the surface of the grape liquid. 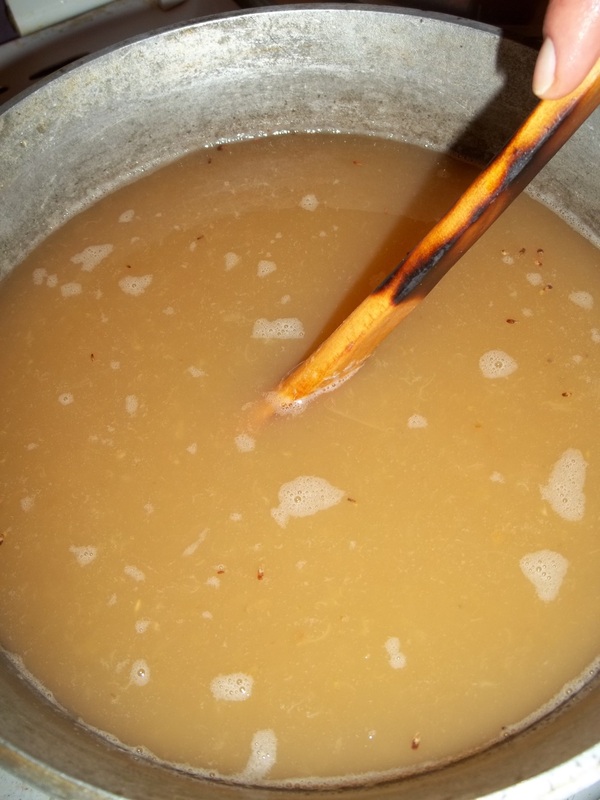 After 3 hours of simmering, the juice should have reduced by a little less than half. 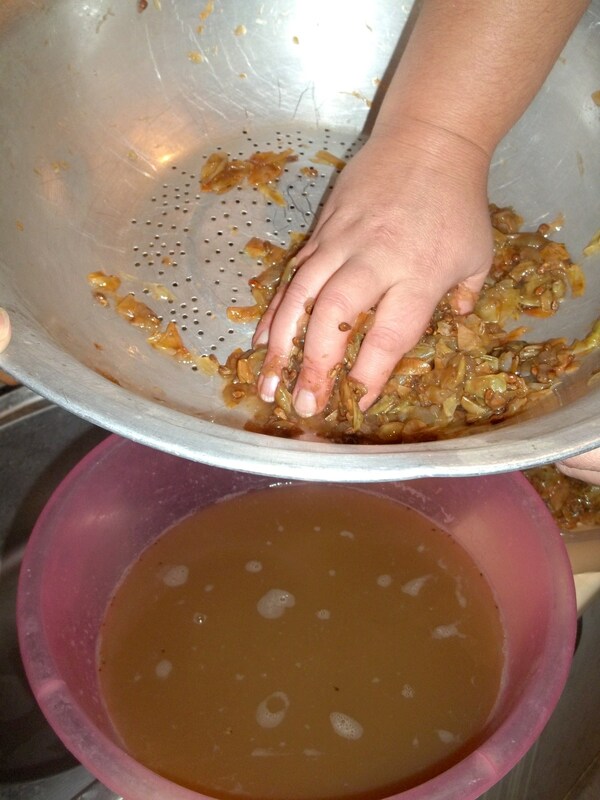 Allow to stand overnight, then use a fine sieve to pour out the juice into a bowl. The juice should be clear. 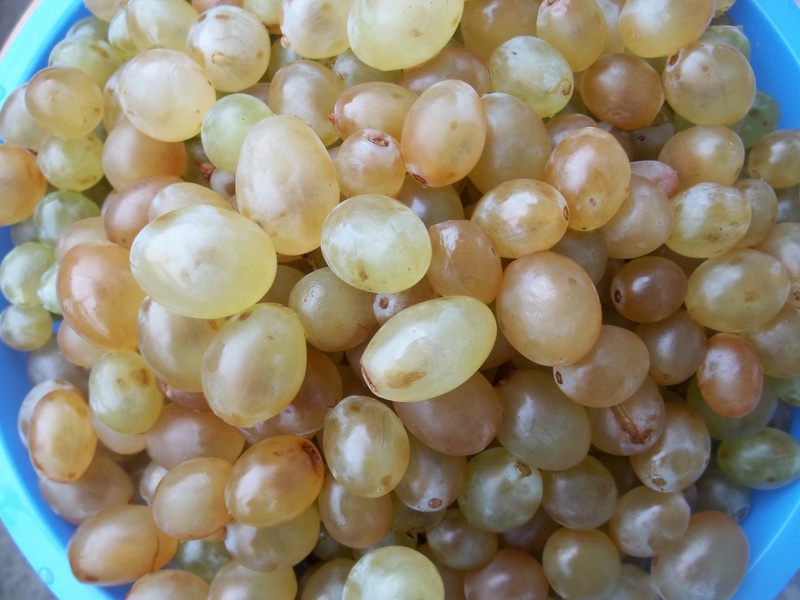 Serving: Badagi can be stored in sealed glass jars and used for a variety of Georgian dishes, such as grape tklapi. It can also be drunk as a refreshing, sweet drink.